Looking to say thank you, or get well soon? Do so by sending this simply charming fruit basket! 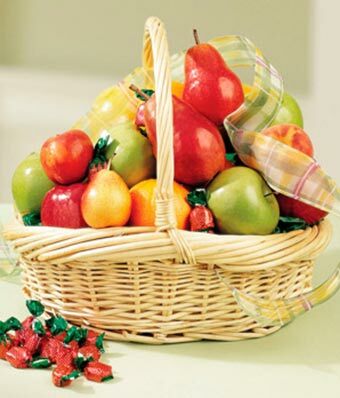 Overflowing with a fresh fruit variety, this basket sends warm wishes for good health and happiness. A local florist will hand pick, hand arrange and hand deliver your gift in a woven keepsake basket. Send this heartfelt gift today!